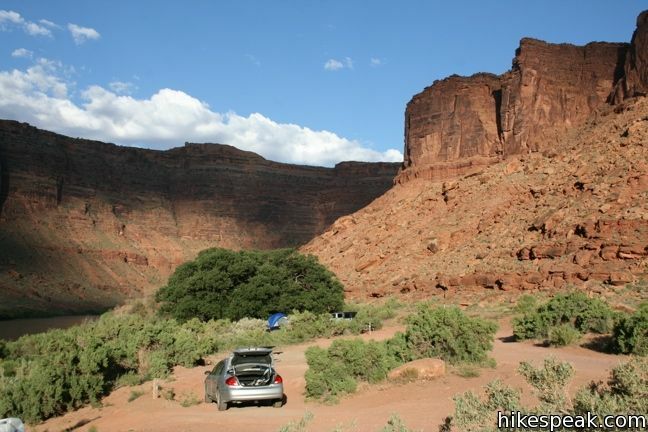 If you are visiting Arches or Canyonlands and are planning to camp, you should know that camping within these national parks is quite limited. 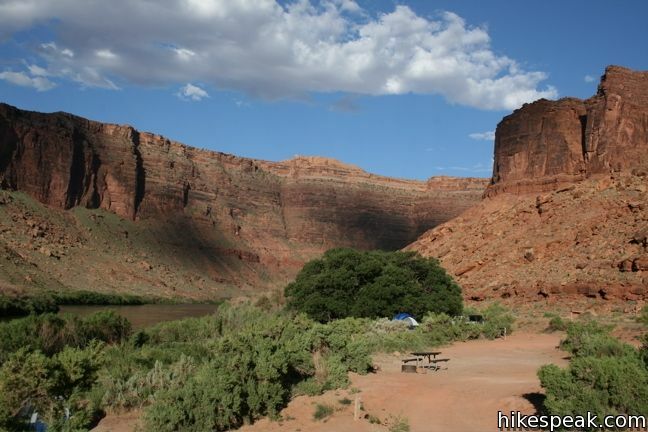 Fortunately, the Bureau of Land Management operates over two dozen developed campgrounds (with over 400 individual sites) outside these parks around the city of Moab. Each of the BLM campgrounds are first-come first-serve, so it is best to arrive early and plan ahead. Outside of the busiest weekends, the camping is quite ample. Fees for each site are $20 per night. 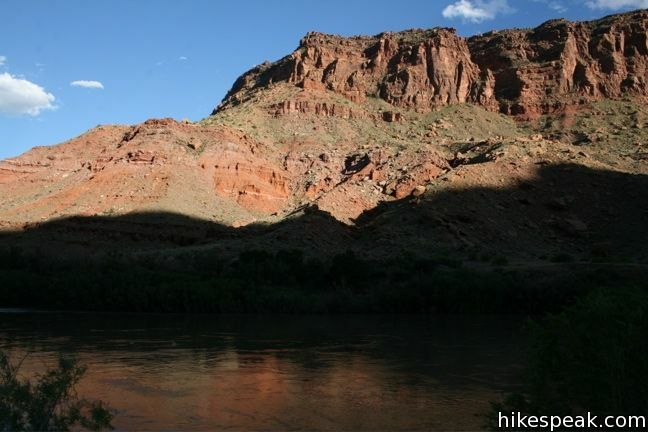 Most BLM campgrounds are more primitive than what you would usually find at a national park. Drinking water and garbage receptacles are not always available, and the restrooms at the smaller campgrounds are quite rustic. Each site has a picnic table and fire ring. 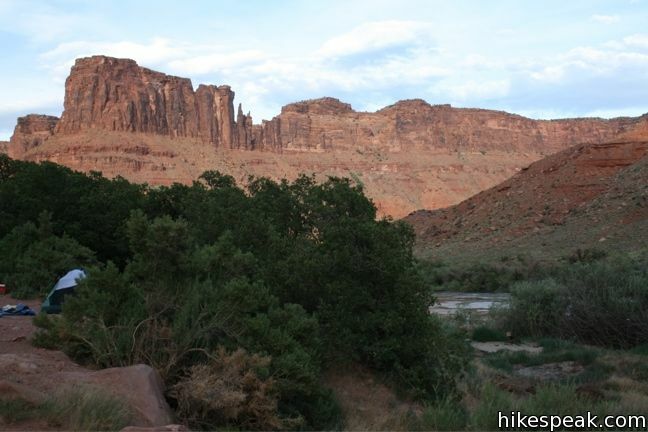 The Moab Field Office of the Bureau of Land Management previously published a Moab camping webpage that had lots of information about the BLM campgrounds around Moab (Some of that information is now out-of-date). The current website for the Maob Field Office is short on camping information, so the best thing to do is call (435) 259-2100 or email blm_ut_mb_mail@blm.gov for up-to-date details. 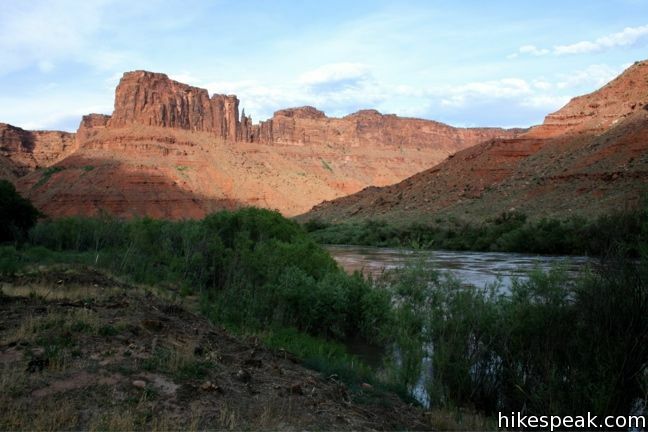 This list provides information about the Bureau of Land Management campgrounds in the Moab area. The campgrounds are grouped by the main road that they are either on or adjacent to. The locations of these camping areas are also displayed on the map below. This half-mile hike visits a swimming hole that offers refreshing escape from Utah’s summer scorchers.